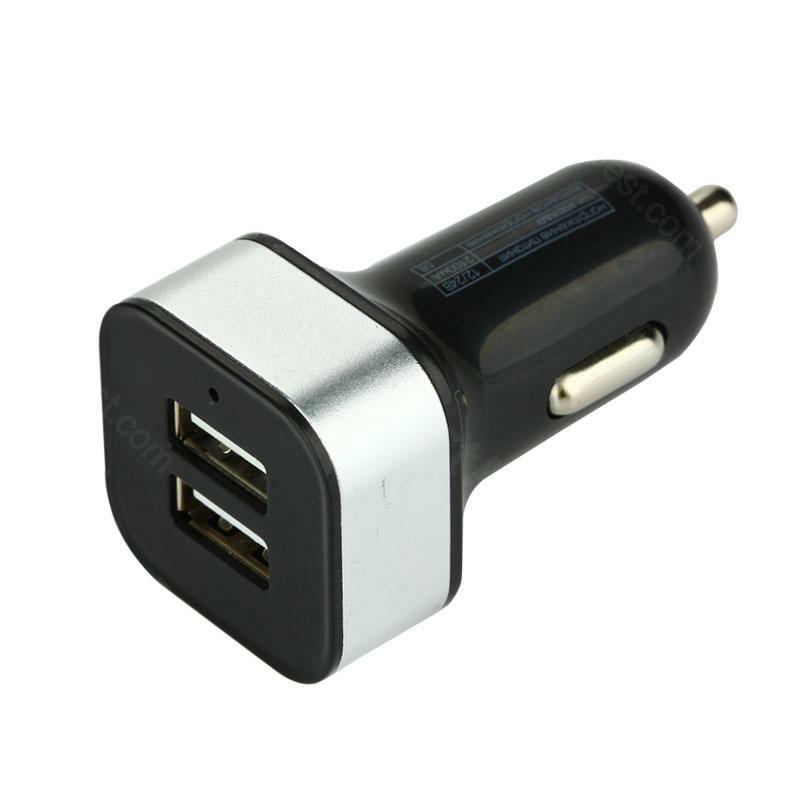 This car charger is compatible with most iPhone, iPad, Samsung, HTC... It is safety and reliability for daily use. Absolutely love this item. I take it with me everywhere and it truly charges quickly (have not yet used with 2 USB attachments). So easy to use and good quality material. I am thinking of buying them as gifts/stocking stuffers at Xmas. Extremely pleased. This little car charger lets you charge two modern usb devices, and power another device. Thats a perfect solution for a navigation unit and your, and your friends phones to be charging. After all, this tracking and data theft we employ in our lives each day take a lot of energy to keep broadcasting our whereabouts. Keep in touch, be touchable, and enable while you do it. No more fights over who can charge their phone first. This charger is perfect. I am satisifed. However, it can't charge my one plus one while using gps. It will maintain the battery level but will either charge it really slowly or not at all. The death of the phone slows down while using gps while charging with this device. Now I can charge my iPhone /iPod /iPad /wireless speaker; one at a time or together. I can now use the iPhone to connect to my iTunes NAS (I can listen to MY CD collection while driving down the road) without draining the battery. I also pair the phone with a Bluetooth speaker that can be charged at the same time. Great charger and I love the super charge side. I just wish it had 2 instead of 1 reg 1 super charge. I do a food delivery service and sometimes I am out longer than my phone battery lasts. Plug it in and voila, super charge is super fast. No problems with my phone to date because of the super charge. Been using it almost a year. I know nothing about electronics and computers or chargers for electronics and computers. Fortunately I have sons who look out for me. My son said .... mom, get this. I did. Now I am recharging my cell phone lightening quick and there is a 2nd whatchamacallit if someone else is in the car and needs to recharge their phone. Why it works, I don't know. But, it works and I'm very happy with it. Nice and handy when you need both phone and GPS charged in your car. Works and fulfills its function.